In our area outdoor living spaces have become an extension of the home and often play an important role in a buyer's decision of which home to buy. From the traditional grill and picnic table to lavishly landscaped patios and decks with lounge areas, buyers’ love affair with the backyard continues to hold true. An outdoor space doesn’t have to be huge to make a big impact. Staging a backyard helps the buyer see the possibilities. The idea is to give the buyer a subtle message of relaxation and entertaining by creating a memorable entertainment spot for intimate dinners with friends and family gatherings. 1) Stage an Area. Stage a porch seating area using two outdoor sofas with colorful throw pillows and an outdoor rug. Add plants and accessories. Whether it’s just leaving a magazine on the coffee table, or a pitcher of lemonade with glasses on a bistro table, you can give buyers an image of a peaceful retreat. 2) Add an Outdoor Kitchen. Kitchens are the center of family life. They can be extensive or they can be as compact as a patio with a grill and table. There are a wide variety of options for every space, purpose, and price range. 3) Add Outdoor Lighting. Use lighting to highlight important areas of the yard, or add a set of solar walkway lights. 4) Add a Fire Feature. Installing a portable fire pit or building a stone fireplace can extend the time people can spend in their backyards. 5) Add a Water Feature. From small fountains to ponds, streams, create a sense of peace and calm, helping people connect with nature, and may attract wildlife. 6) Create a Wildflower or Herb Garden. They are beautiful and smell great. Are Sellers Required to Disclose Prior Home Inspections? I was asked recently if a seller is required to disclose a previous buyer’s home inspection when selling their home. The seller explained that the inspection is no longer accurate because significant repairs were done to the property. California law requires that the seller disclose to buyers all information in their possession which materially affects the value or desirability of the property. Seller should disclose all past and current problems and all the repairs that have been made. This is true even if everyone believes that the information is no longer accurate. As a general rule when it comes to disclosures it is always prudent to disclose and explain rather than remain silent. By doing so, sellers avoid the inherent risk of misrepresentation. In the case of a prior home inspection I suggest that the seller obtain a second report from a qualified local inspector that shows the current condition of the property after the repairs and then deliver both reports to the buyer. Delivering both inspections to buyers helps protect the seller from claims of misrepresenting the condition of the property. A buyer may place more or less weight on a potentially negative item than a seller, and thus the seller should not decide what a buyer would want to know. However, if a seller is aware of a prior inspection but does not possess the report, the seller need only explain this fact and any information regarding the prior inspection of which the seller may be aware. Sellers must be diligent to provide such an explanation as part of the seller’s property disclosure statement. Keep in mind that lack of disclosure of a prior inspection does not equate to lack of knowledge of material defects. A full disclosure of material facts reduces the risk of subsequent disputes, claims and litigation regarding the property. We discussed in my last article how a senior can assess their living situation to determine if they are ready to downsize. In this article I devise an action plan that will help seniors make a smooth transition. Learn about types of senior housing. Visit senior communities and apartments in the area you are planning to move to. Marketing directors often will be happy to give tours of their facilities and explain the different types of senior housing. Among them: Senior apartment complexes cater to older adults, but residents must be able to care for themselves. Retirement communities are self-contained residential complexes with support services and recreational and social amenities. Continuing care retirement communities offer three levels of living environments—independent, assisted living, and skilled nursing. Become familiar with all the facilities in your area. 2. Talk to trusted advisers. Clergy, an attorney, relatives, a physician, or good friends are all excellent sources of unbiased advice. Discuss your feelings with your advisers and describe how your current situation is affecting your life. Discuss the difficulties you are experiencing, such as physical hardships, anxieties and loneliness. Let your advisers help guide you to the right decision. 3. Talk to a real estate agent. A good real estate agent is a good resource for different housing communities and options that are available in the area that you are planning to move to. They are also a good resource for other services that cater to seniors that will help you make a smooth transition. 4. Take notes. Write down notes at the end of each meeting followed by your comments. 5. Make lists of advantages and disadvantages. List on one side of a sheet of paper all of the reasons a move would be good and then list on the other side all the negatives. 6. Reflect. Put the paper away for a couple of days, and then reread the answers. After reflection, the right path to take could become obvious. There comes a time in the lives of many seniors when staying in their current home is no longer a safe or wise choice. But the decision to move is often delayed—or avoided altogether—because of the myriad of emotions and amount of work surrounding the transition. This is a difficult decision to make and can lead to decision-making paralysis that may have negative impacts on a senior's life. For many seniors, just the thought of selling stirs up fear and anxiety about leaving their home, neighborhood, and friendships for unfamiliar territory—so much so that they often convince themselves a move isn’t necessary. A rational assessment and careful discussion of their current living arrangement and the alternatives living options that are available may help determine if it is the time to downsize. In addition there are many resources that are aimed at seniors that cover financial, legal, healthcare, and other services. These resources guide seniors through the decision-making process. Sometimes getting the adult children involved in the process can alleviate a senior’s anxiety and make the process less overwhelming. • Does your home provide the best environment for the physical needs you have? • Have you isolated yourself from friends and family because your inability to maintain your home has left it in disrepair? • Have you had trouble finding workers to take care of maintenance? • Are finances keeping you from enjoying the home you’ve loved for so many years? • Do you feel you have inadequate security and access to care where you are? If you can answer yes to more than one of these questions, you are a candidate for change. In my next article I will discuss an action plan for seniors that will help them make a smooth transition. A new California law requires owners of fenced-in neighboring properties to split the costs of keeping up the section of fence separating the properties. The law does not apply if one of the two owners does not have fences on the other sides of his land. The law states that adjoining landowners, with properties contiguous or in contact with each another, must share equally the responsibility for maintaining boundaries and monuments between them. Adjoining landowners are presumed to share an equal benefit from any fence dividing their properties, and unless otherwise agreed in writing, are presumed to be equally responsible for the reasonable costs of construction, maintenance, or necessary replacement of the fence. A landowner must give each affected adjoining landowner a 30-day prior written notice of any intent to incur costs for a division fence. The notice of intent must include the following: (1) a notice of the presumption of equal responsibility for the reasonable costs of construction, maintenance, or necessary replacement of the fence; (2) a description of the nature of the problem with the shared fence; (3) the proposed solution for the problem; (4) the estimated construction or maintenance costs to address the problem; (5) the proposed cost sharing approach; and (6) the proposed timeline for addressing the problem. An adjoining landowner can overcome the presumption mentioned by demonstrating by a preponderance of the evidence that imposing equal responsibility would be unjust. In sellers' markets, high demand can generate multiple offer situations that often drive up the purchase price higher than any comparable sales in the area. If the buyers are relying on financing from a bank to purchase a home, a low appraisal can scuttle a deal. Banks require appraisals to verify that a home's sale price is supported by its market value. What can a buyer and seller do if a home does not appraise? a) Buyer can make up the difference in cash. The lender cares about the appraisal only to the extent it affects the loan-to-value ratio. A low appraisal does not mean the lender won't lend. It means the lender will make a loan limited to a specified percentage of the appraised value. b) Dispute the appraisal. Either the seller or the buyer can pay for a second appraisal. If the parties find out that the appraiser is not familiar with the local market, or an appraiser made mistakes they have the right to contact the lender to demand a second appraisal. c) Appraisal review. The buyer or seller can ask their agent to put together a list of recent comparable sales that justify the agreed-to sales price including the pending sales and submit that list to the underwriter and ask for a review of the appraisal. d) The seller can offer to carry a second mortgage for the difference. If the seller wants the deal to go through but the buyer cannot come up with the difference in cash, the seller may agree to carry a second mortgage. e) Cancel the transaction. If checked, the purchase contract gives the buyer the option of having an appraisal contingency that allows the buyer to cancel the contract and requires the seller to release the buyer's earnest money deposit if the appraisal comes in low. Traditionally early spring has been the best time to sell a home. However over the last few years we have seen new listings coming on the market as early as January and scoring high prices. Last year ended with a historically low inventory and many buyers were unable to find a home. Therefore many buyers are ready to buy now. If you're considering selling your home in 2014, now is the time to get ready. 95% of our local buyers start their home search on the Internet. Experian Marketing Services released its monthly most visited real estate website rankings for web traffic in January. The results are eye popping. Web traffic to real estate websites was up 25% from December. If you're considering selling and your home is not yet on the market, then every day you're missing out on thousands of potential buyers viewing your home. Over the past month mortgage rates have declined and rates are currently trending back toward 4%. This is a significant development for buyers and could save buyers hundreds of dollars on their monthly payment. For many buyers, there is a sense of urgency to buy now before prices go higher or interest rates return to more historically normal levels. What does that means to the seller? It means that the earlier you list your home the more interested buyers you have on your property, the more offers you have and the more you home is going to sell at. Buyers are ready. Are you? The spring selling season is already in full swing. If you're planning to sell your home in 2014, you need to be ready now. Don't miss out on the perfect well qualified buyer because you waited too long. A reverse mortgage is a loan against your home equity that you don't have to pay back as long as you live there. Assuming you have enough equity in your home, you could use a reverse mortgage to pay off your existing mortgage. Reverse mortgages are different from any other loans, and the risks to borrowers are unique. These loans are expensive, and up-front fees may total thousands of dollars. The advantage of a reverse mortgages is that you don't make payments to a lender. But you can still default on the loan if you fall behind on your property taxes, homeowner's insurance, or homeowner-association fees, or if you fail to keep your home in good repair, if you default, you could lose your home. 1. Can I afford a reverse mortgage? These loans can be very expensive, and the amount you owe grows larger every month. If you are not facing a financial emergency now, then consider postponing a reverse mortgage. 2. Can I afford to start using up my home equity now? The more you use now, the less you will have later when you may need it more for emergencies. 3. Do I have less costly options? Do you have other financial resources that you could use instead of a reverse mortgage, such as a home equity loan or a home equity line of credit? Before agreeing to a reverse mortgage, consider other alternatives such as downsizing, refinancing, or arranging a loan privately with a family member, using your home equity as collateral. Talk to a CPA or financial planner to make sure a reverse mortgage is right for you. And shop around - some lenders are reducing or even waiving origination and servicing fees. Not hiring a professional to sell your house: Home sellers who try to sell their houses themselves without the expertise of a real estate professional end up selling for far less than the fair market value. Not staging your home: Showcasing your home is crucial to get the best price. Buyers need to be able to visualize how the home looks with furniture and how functional it would be for their own family. Overpricing your home: Pricing your home based on what you want to net ends in failure. Sellers can control the "asking" price, but they don't control the "sales" price. Accurately pricing your home is an important factor to get the highest price. Getting emotionally involved in the sale of the home. Once you decide to sell your house it's no longer your home - it becomes a commodity. Sellers cannot get emotional if buyers do not appreciate their home and cannot let their egos get in the way when negotiating. Try to create a win-win deal. Failing to disclose issues in the house: Do not fail to complete the disclosures forms accurately. This mistake can be the most costly mistake a seller can make. Over-improving your home: This happens with additions and upgrades that make the home stick out from other houses in the neighborhood. Sellers rarely recover the money spent for such remodels. Not getting your home inspected before listing it: Have a home and a pest control inspections done ahead of time, and get estimates for the repairs. It's always best to prepare for any potential problems. Last year Congress passed the Biggert-Waters Flood Insurance Reform Act of 2012 ("Biggert-Waters") that made major changes to the flood insurance premiums many homeowners pay. Under the new law, owners must pay the full-risk rate, the rate that accurately reflects the full risk of being flooded without government subsidies. Previously, the government subsidized the insurance of many homes and insurance rates were based on older flood maps showing lower risk. Provisions of Biggert-Waters require the National Flood Insurance Program to raise insurance rates for some older properties in high-risk areas to reflect true flood risk. The bill went into effect on Oct. 1, 2013. Homeowners in some of the hardest hit areas saw their flood insurance premiums increase drastically. Therefore homes in the FEMA Flood Hazard Zones sold after October 1, 2013 will have full-risks rates. Buyers who are taking a loan to buy a property will be required by lenders to buy flood insurance and will be paying substantially more for flood insurance than the current sellers. In addition if the property is located in a flood zone, unless provided by the seller, buyer will have to provide the insurance company an elevation certificate to ensure that the premium accurately reflects the flood risk by either a) asking the local floodplain manager if the property’s elevation information is on file and in which case the floodplain manager can issue an elevation certificate or b) hiring a surveyor at a cost of around $750 to conduct a survey and issue the elevation certificate. A bipartisan bill, the 'Homeowner Flood Insurance Affordability Act' was introduced recently to delay further implementation of some rate increases in Biggert-Waters Act. This will allow the Federal Emergency Management Agency to complete an affordability study that was mandated by Biggert-Waters and propose targeted regulations to address any affordability issues found in the study. Contact your flood insurance agent for further details. If you are planning to buy a house or refinance it's a great idea to start working on improving your credit score several months before you apply for a loan. Boosting your credit score could help you qualify for a lower loan rate. Don’t close any credit cards. 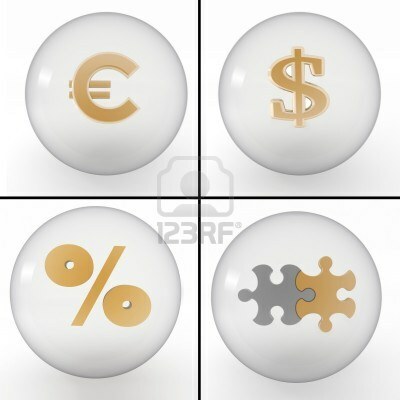 Lenders are very interested in the ratio of your current balance to the available limit. If you close a card that had a high credit limit but keep your balance the same on your other cards, it will look as if you’re maxing out your available credit, which can hurt your score. Check your credit reports for errors. Checking your own credit score in advance prevents surprises when you apply for a mortgage. You can get free copies of your credit reports from each of the three credit bureaus every 12 months. Start paying down your card balances. Paying down your cards is by far the best way to improve your scores quickly. Start early because the low balances don’t always appear on your credit report right away. Once you do start shopping for mortgage rates, try to limit that period to 30 days. Credit inquiries can affect your score if it looks to prospective lenders as if you’re about to take on a lot of debt. The FICO score recognizes all inquiries for a mortgage made within a limited time period and it will count as one inquiry. When real estate markets are on the upswing and demand is high, sellers may wonder if they should sell their home by themselves in order to avoid paying a realtor commission. 1. Pricing your home Pricing a home is an important component of the selling process. A connected local agent has information that is not yet available to the public and has the expertise to avoid pricing mistakes. According to the National Association of Realtors, in 2012 homes sold using an agent sold for 20% more than those sold by the owner. 2. Marketing your home Having a marketing plan and properly executing that plan is more crucial than ever to get the best price when selling a home. An agent will advise you on what needs to be done to make your home appeal to the broadest group of potential buyers and maximize the sale price. Statistics show that 90 percent of homebuyers used the Internet during their home search in 2012. Without a savvy listing agent, your property will not appear on the top sites where buyers search, thereby greatly limiting your pool of potential buyers. 3. Handling the transaction A good agent knows how to navigate the legal requirements and other issues related to selling a home and help protect you from being sued after the deal closes. The agent can also help you evaluate the offers that you receive, negotiate the terms of the contract and make sure that the transaction stays on track until escrow closes. 4. Time commitment Sellers with busy schedules may be hard pressed to find the time needed to respond to buyers inquire effectively. A dedicated professional agent has the ability to timely respond to potential buyers. Selling a home is a big undertaking. Homeowners should fully investigate and understand what it is involved before deciding to sell their home on their own. This provision gives the seller the right to ratify another offer and cancel any outstanding offer at any time prior to the delivery and receipt of the signed counter offer from the other party. Signing the counter is not sufficient. In order to create a valid contract; there must be proper “delivery” of the acceptance (i.e., the signed counteroffer) to the seller as stated in the contract. Offers and counter offers can be revoked even though there is time remaining before they expire. 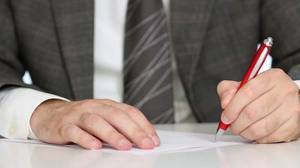 The purchase agreement requires that the signed offer or counter offer be delivered and “personally received" by the principal or the designated agent or brokerage, depending whether the agent inserted the agent's name or the company name in the blank. This, then, makes “delivery” conditioned upon the recipient actually receiving it. Time is of the essence. Buyers should review the counter offer with their agent as soon as possible after receipt. Buyers should also make sure that ALL terms are understood before they sign the counter offer and act quickly if they wish to buy the house. The end of the year is approaching fast, and some buyers are still on the sidelines wondering if they are better off waiting until 2014 to buy. Here are some adjustments that buyers may need to explore to land a home. 1. Preparation is more important than ever. Buyers have to be more prepared than ever and ready to jump in when they find the right house. They need to have an intimate knowledge of the market where they are considering buying so they have the confidence to write the offer and they also need to be preapproved for a loan. 2. Get a real estate agent that is knowledgeable and skilled in your market. It is more important than ever to have a good agent on your side. Make sure that you are communicating with your agent on a regular basis and let your agent know about your deal makers and breakers to help you write a winning offer. Many buyers rely on the internet for sales prices and market information which usually lags a month behind the realty of the market. 3. Learn from prior experience and from watching the market. You need to be realistic about your wants and needs and what you can afford. 4. You can beat the competition if you’re smart. Finding your dream house may be just a matter of smartly identifying the right property hidden behind a few small flaws. 5. Keep an open mind on where to buy a home. The low inventory does not mean that you cannot find the right house. We have many wonderful communities in our area to choose from. The low inventory is creating pressure on some neighborhoods more than others. Discuss with your agent other options that are available within your criteria and explore these options. 6. Time is money. The market appears to be heading only one way and that is up. Buyers are likely better off buying this fall than waiting for 2014 in the hope that prices will settle down. All fundamentals point toward another robust year with prices increasing further. Real estate transactions are emotionally charged. Sellers cherish their homes and worry about selling them too cheaply. Buyers can be traumatized by high purchase prices and the financial implications of buying a home. This sets the stage for a transaction to suddenly unravel when the parties squabble over who gets custody of something as inconsequential as a chandelier light or some custom built-in cabinetry. From a distance these disputes may seem silly but in the heat of the moment the parties often view it differently. After representing buyers and sellers in our local market for nearly 20 years, I know that the issues are not that significant and often can be easily resolved through good will. But squabbles over fixtures after ratifying a contract are far from uncommon. Big issues arise when things are not clear up front. You can avoid these issues before they arise with due diligence. 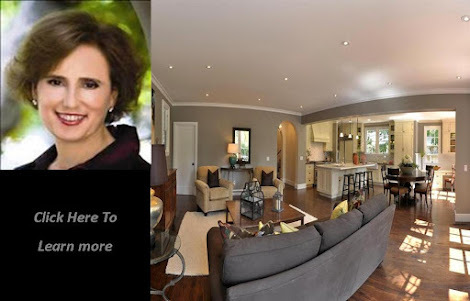 It is the real estate agent's job to explain to the seller the difference between fixtures and personal property and what will be included and excluded in the sale of the home. If a seller does not want a fixture to be included in the sale simply remove it. Alternatively the agent can specifically exclude certain fixtures from the contract in an addendum that will be part of the disclosure package. The purchase contract states clearly that buyer’s purchase of the property includes all existing fixtures and fittings attached to the property and devotes two sections to fixtures and personal properties that are included and excluded in the contract. Make sure that the contract states clearly what is included and excluded from the property to avoid any misunderstanding. Despite best efforts, arguments may still break out. Remember to keep the issues in perspective and make sure your agent is a skilled negotiator. For more details, please consult a local real estate attorney. For many homeowners downsizing makes sense as they get older and family needs change. Although downsizing can be difficult and emotional with memories holding you back from selling your home and taking your life in a new direction, there are advantages to downsizing. Freeing the equity in your home and having a simpler lifestyle can bring the thrill of new adventures, more travel or other activities that you were not able to indulge in before. However, paying higher real property taxes on the prospective new home often acts as a deterrent to downsizing. In California, Propositions 60, 90 and 110 allow qualified homeowners over the age of 55 or persons of any age who are severely and permanently disabled to transfer a property’s base value from an existing residence to a replacement residence, under certain conditions. These propositions apply to homeowners who relocate within the same participating county or between participating counties (currently, Santa Clara, San Mateo, San Diego, Alameda, Los Angeles and Ventura). Additional requirements for this tax treatment include: (1) the cost of the replacement property can’t exceed the current appraised value of the original property, (2) the replacement property must be acquired within two years of the sale of the original property, (3) the owner should file an application for this tax treatment within three years of the sale of their residence, and (4) the sale of the original residence and the replacement homes must be the taxpayer’s primary residence or the taxpayer must have received or be eligible for a Disabled Veteran's Exemption on both residences. The overview of the tax laws and treatments described in this article is for general information purposes only. 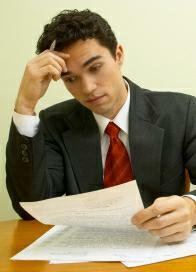 You should consult your tax attorney or your accountant regarding how they may apply in your particular circumstances. Every house hunter has a vision of their dream house. However, budgetary constraints often make concessions necessary. It is important for buyers to be prepared to make concessions that they will not regret later. Balancing wants and needs is crucial. Acknowledging that there is no perfect house, how should buyers approach their search for a home? Size: The optimal house varies with family size and needs. An undersized home is uncomfortable and among other things can contribute to clutter and tension among family members. But an oversized home can be a major drain of time, energy and cash when you consider what is required to purchase, furnish, heat, cool, clean and maintain the home. Buyers should be looking at a home that is not too big or too small for their anticipated needs for the next 5 to 7 years. Lifestyle Needs: This will vary depending on who lives in the house - for example, good schools for a family with kids, one-story home for a retired couple, a separate in-law unit for buyers with older parents etc. Buyers should avoid buying a home that requires major work to satisfy their basic needs. House with a Vision: An alternative to finding that dream house is to find a house with the potential to become that house within a reasonable budget. Having a vision before start your home search will prove helpful in finding the right house. Staying Power: Given today’s real estate market and the high prices buyers are paying, it’s important that your home be one you can see yourself living in and being comfortable with for at least 5 to 7 years. If another recession hits and prices fall, you may need to stay in that house longer than anticipated. Keep Resale in Mind: Houses that are overly customized are more difficult to sell. When you are remodeling your home keep resale in mind and spend your money where you can get it back. Your agent can advise you on the most cost-effective remodeling projects. Home maintenance is one of those things that is easy to forget or put off. Taking care of the following repairs annually can save you a lot of money over the long haul. If you're not careful, you can end up having that house in the neighborhood with the overgrown yard, peeling paint, and a list of expensive repairs that could have possibly been prevented. 1) Annual HVAC inspection: Have the heating system serviced. Change filters. Make repairs as needed; it prolongs the useful life and efficiency of the furnace. A simple chimney cleaning can prevent chimney fires and damage to your entire house. Inspect the chimney for loose or missing mortar; check the cap and repair as needed. 3) Termite Inspection: Termites are more active in spring and early summer. An inspection might find subterranean termites that come from the ground or flying termites. Termite repairs could be costly if neglected. 4) Power washing and sealing wood deck: Power wash and seal every one to three years, depending on the amount of moss and mold. If you let it go, your deck will warp, nails will pop out and the deck won't last as long. 5) Dryer vent cleaning: The purpose is to get rid of lint buildup. If you ignore it, the result could be a disastrous fire. Once the vent gets clogged, the dryer starts overheating and it can catch on fire. 6) Carpet cleaning: Have the carpets cleaned every 12 months or more often for high-traffic areas and homes with small children, pets or smokers. If the carpet looks dirty, you've waited too long because some soil can't be removed with vacuuming. 7) Siding and Paint: Look for cracks and holes in house siding or paint. Replace caulk and paint as necessary. When you are selling your home, typically a home inspection is conducted. Among the many items a home inspector will check for is the presence of mold in the home. If mold is discovered, the buyer will likely ask for further inspection and remediation before the transaction closes. Mold can cause damage to the home itself, and also poses a health risk. Indoor exposure to mold has been linked to upper respiratory tract symptoms in otherwise healthy people. People with mold allergies, immune-compromised people and people with chronic lung illnesses may have more severe reactions when they are exposed to mold. Mold grows indoors and outdoors wherever there is a lot of moisture - in the air and on many surfaces. Mold can enter your home through open doorways, windows, vents, and heating and air conditioning systems. Mold in the air outside can also attach itself to clothing, shoes, bags, and pets can and be carried indoors. Mold growth, which often looks like spots, can be many different colors, and can smell musty. If you can see or smell mold, a health risk may be present. No matter what type of mold is present, you should remove it and work to prevent future growth. Mold growth can be removed from hard surfaces with commercial products, soap and water, or a bleach solution of no more than 1 cup of bleach in 1 gallon of water. If the area to be cleaned is more than 10 square feet, hire a mold remediation company. You can control mold growth inside your home by controlling humidity levels, promptly fixing leaky roofs, windows, and pipes, ventilating shower, laundry, and cooking areas, and thoroughly cleaning and drying after flooding. Please check the Centers for Disease Control website for more comprehensive information. In today’s market buyers who are planning to write an offer on a property in a multiple offer situation have difficult decisions to make. In order to be competitive they must write their offers without contingencies. Otherwise, they have a greatly reduced chance of getting the house they want. The appraisal contingency is one of the contingencies that sellers do not want to see in the offer. Prices are on the rise in many areas but appraisals don’t always immediately catch up to these sudden increases, despite efforts by agents try to keep appraisers informed of the latest sales. If a property appraises for less than the offered price, the buyer will be forced to come up with extra cash for a larger down payment or risk breaching the contract. In response to rapidly increasing prices, the California Association of REALTORS® created a form called “Market Conditions Advisory” that is usually part of our local disclosure package. Buyers have to read, acknowledge and sign sign-off on all the documents in the package. The form includes a statement that the purchase price offered by a buyer is his decision, not the real estate agent's. It also states that making an offer without contingencies — such as the appraisal contingency — is not recommended by the real estate broker. Buyers should discuss this disclosure and waiver of the appraisal contingency with their agent. Using recent market sales data, buyers and their agent should try to estimate a likely range of appraised values for the property, so that the buyers can determine whether they have the financial flexibility to close the transaction if the property appraises for less than the offered price. A hot market like today’s creates massive competition among buyers and puts pressure on buyers to make quick decisions that can leads to regrets. What are the most common real estate regrets? A recent survey by Trulia lists the top regrets of home buyers. A review of this list can help buyers make decisions they feel good about in the long run. 1. Thirty-four percent of buyers wished they had bought a larger home. Buy a home that will work for your family 5 to 7 years from now. Analyze your future family needs carefully. Plan your space around the family members and activities. 2. Twenty-seven percent of buyers wished they had done more remodeling when they bought the home. Statistics shows that if a homeowner doesn’t undertake the remodel they plan within the first year after closing, chances are they won’t do so for many years, if at all. Make sure that you have a budget and a firm plan of action for the home upgrades you want that you can execute as soon as you close escrow. 3. Twenty percent of buyers wished they had more information about the house before they bought it. Careful planning allows buyers to investigate the property thoroughly. In our area almost every house has a package of disclosures and reports. Act fast, get the package as soon as possible, read it carefully, ask questions and order further inspections for the key issues before presenting an offer. 4. Eighteen percent wished they had put more money down for the down payment and sixteen percent wished they had been more financially secure before they bought the house. Financial preparation to buy a home is a must. It involves careful planning and savings for an extended period of time and requires that you stay accountable to your plans. 5. Fifteen percent wished they had chosen a neighborhood with a shorter commute to work. Some buyers choose to buy a larger home with a long commute to work. My advice has been to opt for quality of life by buying a smaller home that shortens your commute and investing the expenses of the commute in your home. What’s Driving the Rise in Home Prices? 1. Improving economy and stable employment. Employees are feeling more secure in their jobs with the improving economy and the easing of the European financial crisis. 2. Low interest rates. According to some economists, today’s low rates give buyers 30% more buying power. This is attracting different kind of buyers who wish to get into the market before interest rates go up. 3. Inventories of homes for sale are at low levels. Our local market has a limited supply of new homes due to the lack of vacant land. Most of our inventory is coming from home owners who are realizing the benefit of moving up or taking advantage of economic conditions to cash out on the equity in their properties. 4. Immigration and influx of foreign skilled workers. 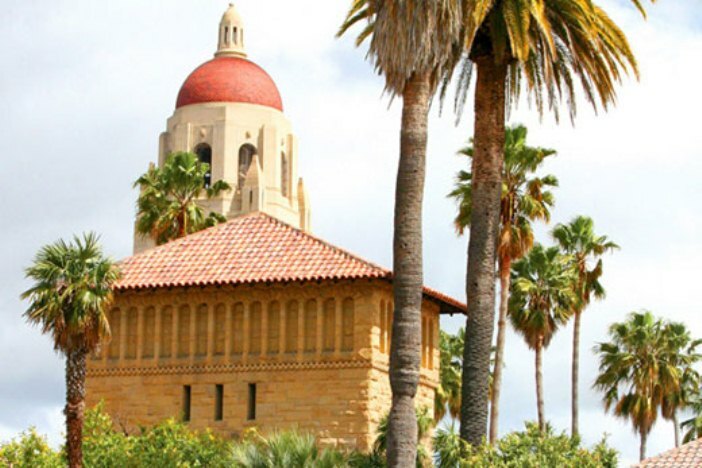 The need for skilled workers in Silicon Valley has resulted in many immigrants from China, India and other foreign countries coming to our area. These immigrants have increased in number recently and constitute a significant percentage of buyers in our area. 5. Increase in real estate investment. Foreign and local investors are pouring cash into the real estate market and are a major contributor to rising home prices. The loss of confidence in the stock market motivated individuals to diversify their investments and invest in the local real estate because investors it was proven that is a more secure investment and a hedge against inflation. 6. The rise in rents. Increasing rents has prompted more investors to purchase properties to rent out and more renters to second guess why they are paying so much in rent when they could buy. Buying or selling a home is ranked as one of the most stressful events in life. The local real estate market is hot; inventory is at an historic low and multiple offers on almost every property is the norm. Market conditions are putting buyers under pressure to buy a home before home prices and interest rates go higher. The stress that buyers experience can be alleviated with careful planning. There is more to home buying than finding the right house. The process is complex with a myriad of issues that surface and need to be addressed promptly. Therefore once the decision to buy a house is made, you should soon after get the help of an experienced local real estate agent that can offer an insider’s advice. Experienced local agents have a strong sense of the precise actions that should be taken in different situations. When faced with decisions ask your agent for advice (including the rationale behind their advice), and ask for data before making your final decision. If you are unsatisfied by the answers and truly feel that you cannot trust your agent, you have not found the right agent. A qualified agent will help you understand the process, explain the timeline, answer your questions and navigate through the complex process to avoid costly pitfalls or mistakes. A reputable local agent can also assist by suggesting different neighborhoods or properties that you may not have considered and by helping you prepare and negotiate the terms of offers and counteroffers. Finally, be pro-active and do your own research. Go to the city building department to learn more about how the house has been modified over time. Talk to the neighbors about their experiences in the neighborhood. The more you know, the better off you are and the less likely you are to encounter bad surprises. I received a call from a buyer telling me that he read in a local online paper that a house on a desirable street in Palo Alto dropped in price. He was wondering if this I true in this market. Well the answer is yes a house in Palo Alto on a desirable street had a price reduction. The fact and the matter is that even in Palo Alto and in our competitive market, an overpriced home will not sell unless the list price is in line of the fair market value. While some sellers are tempted to list their property at a high price and test the market or negotiate down the price, this strategy often has the opposite result. As the house stay longer on the market the house develop a stigma that there is maybe something wrong with the house and thus is not selling. The seller will start get lowball offers and end-up eventually selling at a lower price than the fair market value. Seller be cautious, ask your agent to prepare a market analysis and price your home in line with the mid-range of the comparable, in this market it is safer to underprice than overprice your home. Visit open houses, this exercise is the most vivid way to get a reality check about what you’re up against and what your home’s strengths and weaknesses are compared with the other homes buyers will see. If your home is underpriced you most likely end-up receiving multiple offers and the house will end –up selling at its fair market value. In a hot market it’s not unusual for several prospective buyers to compete for the same property. What does the listing broker have to disclose about other offers to interested buyers in a multiple offer situation? The realtor Code of Ethics Standard of Practice 1-15 provides that “realtors in response to inquiries from buyers or cooperating brokers shall, with the sellers’ approval, disclose the existence of offers on the property. Where disclosure is authorized, realtors shall also disclose (when asked) whether offers were obtained by the listing licensee, another licensee in the listing firm, or by a cooperating broker." The listing broker’s failure to make this disclosure when asked violates Article 1 of the Code as interpreted by Standard of Practice 1-15. The listing broker has a fiduciary duty to adopt and follow a policy on multiple offers that’s reviewed with the seller before any offers are received. The policy should state that the seller will decide how multiple offers on their property are to be handled, because it’s the seller who may not get as high a price if some buyers aren’t told about other buyers' offers. It's also the seller who risks losing all offers if potential buyers back out after being told of other offers. The seller should understand the risks and instruct the broker how they’d like the situation to be handled. If the seller gives the listing broker permission to tell buyers about other offers, the brokers in our area usually reveal only the existence of those other offers and not the amount or terms. However, it is advisable for buyers to sign a confidentiality agreement with their broker and include that agreement in the contract to ensure that the terms of their offer are kept confidential. The realtor Code of Ethics helps ensure that all involved in a transaction are treated openly, fairly and on a level playing field to prevent unpleasant consequences. The Consumer Financial Protection Bureau recently issued rules designed to reduce risky lending and require banks to verify that borrowers have the ability to repay their loans. The new rules require lenders to look at criteria such as a borrower’s income, employment status, credit history and other debt obligations. These criteria were largely ignored in the years leading up to the 2007 housing collapse. When a loan meets new lending criteria outlined by the CFPB, it becomes a "qualified mortgage," which will give protection to the banks from lawsuits filed by aggrieved borrowers. A qualified mortgage is defined as a loan that does not have excess upfront points and fees, has no toxic features such as interest-only payments, teasers rates, negative amortization and balloon payments, and where the borrower does not spend more than 43% of his or her income to pay down debt. The rules will encompass most lending institutions. The rules are already in effect, but lenders will have 12 months for full implementation. Buyers may have a few months left to try to get a loan from a lender that has not yet implemented the new rules. Jumbo loans (loans above $625,000) will be particularly affected. Before 2010 about 75% of jumbo loans were highly leveraged non-qualified mortgages with debt well in excess of 43% of reported income. In addition many high-income borrowers with good credit scores took "interest-only" loans. Although the new measures do not set minimum down payment or credit score requirements, rumors are that lenders will require a 20% down payment on adjustable jumbo loans. It is difficult to measure at this point the exact impact of the qualified mortgage rules on home prices in our area due to high demand, persistent low inventory and the fact that 30% of our buyers last year were cash buyers. Furthermore, in our expensive market some buyers may not be able to make the 20% down payment expected to be required for the popular adjustable jumbo loans. Fewer qualified buyers in a market lowers demand, and lower demand normally means lower home prices. Information believed reliable but not guaranteed. Please contact a qualified lender for information regarding the new lending rules. 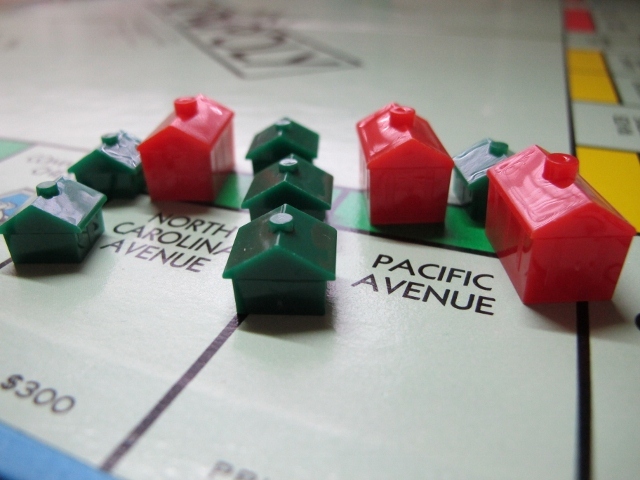 Title insurance - why is it important? A title insurance policy is a contract issued by a title insurance company, insuring or indemnifying owners, holders of liens or encumbrances, or others with a title interest in real property, against loss or damage to the property title. In a typical residential real estate transaction, a title policy is issued to the buyer at the close of escrow, insuring the buyer against loss or damage suffered because of defects in title to the property itself. In addition, if the buyer obtains a loan to acquire the property, a title policy is issued to the lender to provide assurances that the lender’s insured lien has priority over other liens and encumbrances on the property. Customarily in San Mateo County, the buyer is responsible for the cost of both policies. In Santa Clara County, it is customary for the seller pay to pay for the buyer’s title policy, with the lender’s policy paid for by the buyer. Title policies are not required to be identical. The cost, extent of coverage and terms can be as unique as each parcel of real property, since no two parcels are exactly alike. d) Lack of right of access to and from the property. Each of the covered items listed above typically is limited by specific or generic exceptions, exclusions or other conditions specified within the title policy. Title insurance policies are complex legal documents, and readers who require specific advice should consult an attorney. If you are a homeowner who is thinking about selling your home within the next year, you are probably wondering whether there are any remodeling projects that will provide a good return on your investment. Optimizing the use of space in a home will not only attract more buyers but also give sellers a good return on their investment. You must first decide on the size of the project you are willing to tackle. Creating a memorable first impression often can be accomplished through small-scale projects. For example, a nice entry door replacement or a garage door replacement will bring a good return on your investment. Adding a master suite or a room in the attic is a more extensive project that also offers a good return. Be sure to hire a good architect to help you come up with a functional floor plan. Having a family room that opens to a kitchen is highly favored by most buyers. A remodel that opens the kitchen to the family room or even to the formal existing living room is another project with a good return on investment. Formal living rooms, as well as formal offices with wood cabinets, are not in high demand in today’s market. Upgrading kitchens and baths is still a smart bet. However, home owners usually will benefit more by foregoing super deluxe projects in favor of mid-range kitchen and bath remodels. Judicious home remodeling is still worth the investment. Discuss your future remodeling plan with your agent before you start the remodeling project. Your agent can help you plan a remodel that will bring buyers to your home and increase the return on your investment. Many houses in our local market are selling fast with multiple offers but others are sitting on the market for long periods of time before selling. Why does this occur? 1) Your home needs to be in an optimal condition: You have to not only make your house look good - it has to look better than any competing listing on the market. Buyers are carefully previewing and comparing houses to get the best value. Make sure there are no obvious defects as such as leaks, peeling paint, broken windows, dirty carpet or worn-out hardwood floors etc. Finish by staging your home with quality furnishings that effectively utilize the space in your home. 2) Price your home just below the fair market value: Carefully review the market analysis prepared by your agent and price your home just below the price of the lowest comparable in your neighborhood. You need to portray your home as a good value to generate excitement among buyers. 3) Accommodate buyers’ showings promptly: Many listings allow agents to go directly and show the homes. Some others require only a phone call. The easier it is to show your home, the more buyers are going to see it and the more offers you are going to get. 4) Marketing your home: Your home needs to have an extensive marketing campaign utilizing all kinds of media from the day it is listed to give it sufficient exposure to generate multiple offers. Careful execution of the above steps will help generate multiple offers and enable you to realize the highest possible price for your home. Real estate transactions sometimes fail - it’s a fact of life. When they do, the parties face the potentially daunting task of figuring out who might be at fault and whether either has recourse against the other. The resolution of contract disputes can be quite complex. In the event of failure to complete this purchase due to buyer’s breach of the contract and not for reason of default by the seller, a) seller is released from the obligation to sell to buyer, b) seller shall retain buyer’s deposit paid as seller’s only recourse, and c) if the property contains one to four units, one which buyer intends to occupy, then any deposit retained by the seller shall not exceed 3% of the purchase price, with any excess promptly returned to buyer. The liquidated damages clause does not automatically entitle the seller to the buyer's deposit if a transaction does not close - it does only determines the amount of money the seller can recover if the buyer in fact breached the contract. If the buyer and seller disagree as to whether the buyer breached the contract, the seller generally must prove in court or in arbitration that the buyer's failure to close the transaction was wrongful. In our area most buyers and sellers include the liquidated damages clause in their purchase contracts. for advice regarding your individual situation. In our fast moving market, many houses are selling within a week, and prices are rising rapidly. As a result, some buyers are rushing to buy without taking the needed time to investigate thoroughly the houses they are buying. Sellers should be keenly aware of the importance of the different reports and documents that they are filling out and signing in the course of selling a home. Full and complete disclosures protect the seller in the event of a subsequent lawsuit by the buyer; conversely, incomplete disclosures can come back and haunt them in court. Unfortunately, in the course of my business I often see disclosure forms that are not filled out properly, including questions that are not even answered at all. Most lawsuits against sellers relate to these disclosures. California law requires sellers disclose all material facts of which they are aware, or of which they reasonably should be aware, bearing on the value or desirability of the property, including negative conditions that arose during or prior to ownership. Therefore if the seller is in doubt as to whether a condition constitutes a defect, it is always prudent to disclose rather than to remain silent. Some sellers react negatively to filling out these disclosures at a time where they are busy preparing their home for sale. Many also feel that if they disclose all the problems, their house may not sell. Obviously, this could happen if there is a major issue, but typical disclosures normally do not discourage serious buyers. As you prepare your home for sale, spend a few minutes in every room of the home and note the defects and issues that you know of or have encountered in that room. Full disclosures of all material facts reduce the risk of subsequent disputes and lawsuits regarding the property. 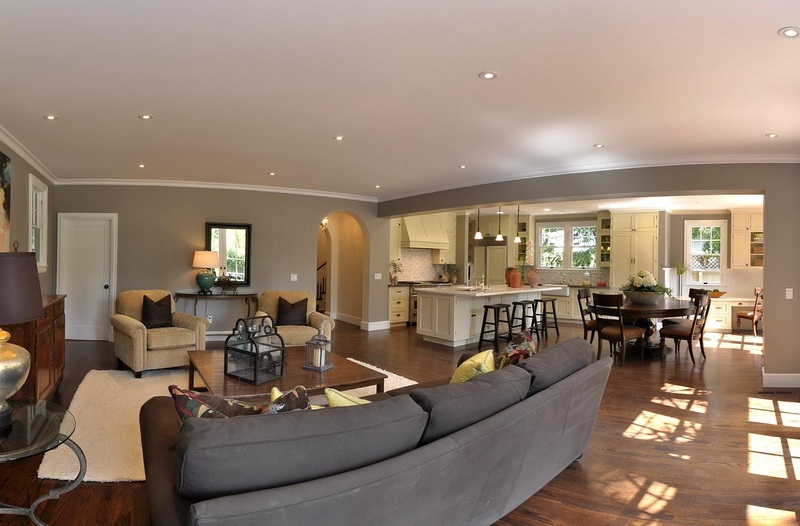 DOES HOME STAGING PAY OFF? In our fast moving market, every so often a seller will ask me if it’s necessary to stage their home and whether staging pays off. 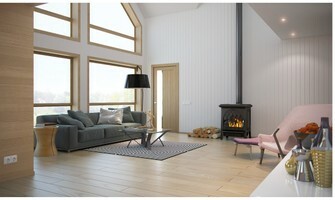 In my opinion home staging is a must in any market. Making an inviting first impression is critical; when a house is professionally staged it will sell faster and at a higher price. A professional home stager will design and stage a home to optimize the available floor space, and to appeal to the broadest segment of the potential buyer pool. Professional staging helps create a setting that emotionally speaks to and connects with home buyers. All buying decisions involve emotions, and emotions are best evoked with a personal experience when touring the house, when buyers start feeling it as their home. Nowadays 95% of buyers look online to find their homes, and online home presentations containing photos and virtual tours are viewed three times more than those without. Staging helps produce beautiful photos and a memorable professional video tour of the home, bringing more buyers to your home – and more buyers can lead to a higher sale price. Given its effectiveness, staging is an integral part of my marketing strategy. My conviction of the importance of staging has led me to provide staging as a complimentary service to clients who list their homes with me. No matter what real estate market you are in, home staging is a wise move to get the best return when selling your home. In today’s active real estate market, a common strategy adopted by sellers is to list at a relatively low price, hoping to create interest in the property, generate a multiple offer situation and push up the sales price. But what are the inherent risks of that strategy? One obvious risk is that the strategy may fail to generate multiple offers. If the seller receives only one offer at or below the asking price, the seller is not obligated to sell the home at that price. However, under the terms of some listing agreements, the seller may be obligated to pay a commission to the listing agent if the seller receives a full price offer without contingencies. Consequently, a seller adopting this strategy should be aware of and comfortable with the terms of the listing agreement. Sometimes when a seller does not receive any offers after listing the home at what they thought was a low price, they are tempted to abandon the strategy and increase the list price. This approach is likely to create a stigma on the property and back fire, with the property ultimately selling below fair market value. Listing low is a strategy that has been proven to be successful in generating the best selling price for properties in today’s local market. However, this strategy may not be the best in a soft market, and even in a strong market some sellers may not be comfortable with the approach. My advice to sellers is to not list their home at a price that they are not willing to accept. Use a market analysis prepared by a knowledgeable local agent, discuss your goals and look hard at the different pricing strategies suggested by your agent, then choose the strategy that best matches your goals and personality. One obvious risk is that the strategy may fail to generate multiple offers. If the seller receives only one offer at or below the asking price, the seller is not obligated to sell the home at that price. However, under the terms of some listing agreements, the seller may be obligated to pay a commission to the listing agent i the seller receives a full price offer without contingencies. Consequently, a seller adopting this strategy should be aware of and comfortable with the terms of the listing agreement. By now everybody knows the local real estate market is hot, inventory is low and most homes are selling with multiple offers. The buzz around is that buyers are rushing to buy before Facebook goes public in fear that home prices will go to the stratosphere. The statistics confirm that perception. Currently in Palo Alto the listing inventory is at an all-time low, the median sale price is at a record high of $1,650,000 (previous record: $1,552,000 in 2007), and the sale to list price ratio is 107.4%. Buyers are motivated to buy to take advantage of low interest rates before they head upward. But many sellers remain on the sidelines, awaiting the anticipated spike in prices from the Facebook IPO. While our local real estate will no doubt benefit from Facebook going public, the effect will likely be spread over an extended period of time, which is what occurred when Google went public in 2004. In addition to the favorable statistics mentioned above, sellers should not dismiss the impact of the economic recovery, the recent surge in hiring, the historic low interest rates and the likelihood of an increase in the capital gains tax in 2013. If you want to sell your home now is an opportune time to sell. In today’s active real estate market, whether you are a home buyer or seller, you will probably encounter the term "as-is" sale. An “as is” home sale has been defined overtime in lawsuits to mean that the buyer is taking the property in “as is” disclosed condition. This includes all disclosures and inspections identified in the package received by the buyer under the contract. In California sellers have the obligation to disclose all known “material” defects to the property that would have some influence on the decision-making process of a reasonable buyer. It is possible that a seller will have no knowledge about certain defects, or even that the professional inspector hired by the seller will fail to discover a serious defect. If you purchase the home and these defects show up later, you may not be able to take any legal action against the seller unless you can prove that the seller knew about the defects during the transaction. The best way for a buyer to protect against a seller who does not disclose a serious defect or an inspector missing a serious defect is to have a home inspection contingency included in the purchase offer. Hire your own trusted professional inspectors and if serious defects are discovered during the inspections, follow up with specialty inspections and repair bids. If serious defects are discovered, a buyer with a home inspection contingency may ask the seller to repair the newly discovered defects, or alternatively may attempt to negotiate a price reduction with the seller. The seller of course is not obligated to make the repairs or reduce the sale price, but if the seller refuses, the buyer can back out of the transaction and request their deposit back before the contingency expires. While buying a home in ‘as-is’ condition may help you win the home you like, you may not want to buy a home with serious defects at a high price. Propositions 60, 90 and 110 allow qualified homeowners over the age of 55 or persons of any age who are severely and permanently disabled to transfer a property’s base value from an existing residence to a replacement residence, under certain conditions. These propositions apply to homeowners who relocate within the same participating county or between participating counties (currently, Santa Clara, San Mateo, San Diego, Alameda, Los Angeles and Ventura). Additional requirements for this tax treatment include: (1) the cost of the replacement property can’t exceed the current appraised value of the original property, (2) the replacement property must be acquired within two years of the sale of the original property and (3) the owner should file an application within three years. This tax treatment may be of great benefit to qualifying homeowners who wish to downsize. The real estate market is a highly fluctuating market, with fantastic ups, dramatic falls and sometimes unexpected turns. Home prices are influenced by many complex variables that even experts cannot accurately predict. For many buyers purchasing a home, resale is something in the unimaginable future. Many buy with plans to raise a family and stay for the long term. However, studies show that people now move more than ever before, whether for job opportunities, because of divorces or for myriad other reasons. Statistics show that an average family stays in a home only 5 to 7 years. Fixating strictly on purchase price can prove costly down the road. Instead, buyers should look beyond price to qualities that keep a property attractive to new buyers over the long haul: prime location, good schools, nearby transportation, low crime rates, etc. The value of a property having these qualities tends to recover more quickly after a downturn in the market. Buying a property with good potential for renovation or extension can also be a positive upon resale. It is advisable to consult with an architect and a contractor to get a better understanding of what changes are permitted and feasible. Evaluate and discuss the options that you have with your agent. A good agent can provide you with projected resale price based upon the anticipated or historical increase in value in the neighborhood. Treat the home as an investment on which you want a good return. Real estate continues to be one of the most stable investments you can make. If you buy the right home, it will likely prove to be one of your most valuable assets. All too often disputes arise between owners directly adjacent to one another regarding the cost of replacing an old fence. 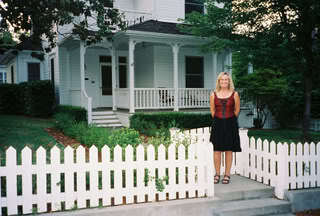 Almost all fences are considered fixtures because they are attached to the ground, as opposed to resting on its surface. Since most fences are fixtures, they can't necessarily be moved, added to, or dismantled by the owner anytime the owner wants to (because of building codes, recorded covenants, etc.). Not surprisingly, most disputes between adjoining landowners concerning fences do involve fences that are on the boundary. Civil Code 841, which regulates these so-called "division fences," provides that "Coterminous owners are mutually bound equally to maintain: (1) the boundaries and monuments between them; (2) the fences between them, unless one of them chooses to let his land lie without fencing; in which case, if he afterwards encloses it, he must refund to the other a just proportion of the value, at that time, of any division fence made by the latter." Thus, neighbors have a mutual, equal duty to maintain fences that are located on the boundary between them, and neither one can alter or move the fence without the other's permission Thus adjoining owners need to agree on how to maintain or to erect and maintain the common fence. This agreement is not required to be in writing. An oral agreement of this kind is binding upon the parties and such of their successors in title as have notice or when recognized and acted upon by the participating parties until repudiated. 1. The house absorbs its Feng Shui energy nourishment through the front door. A good Feng Shui house has a main entry designed to welcome, strengthen and channel the incoming Feng Shui energy throughout the whole house. The front door creates the first impression that shows the buyer how well the sellers have taken care of the property. Paint the front door and make sure the area around it is swept clean and free of clutter. Turn on the light to create an inviting atmosphere. 2. Pay special attention to the Feng Shui triangle: the kitchen, the bedroom and the bathroom. Create open spaces so that energy can flow. 3. The master bed should be in a place of honor and command, farthest from and facing toward the entryway of the room. Paint the room in colors that promote serenity and relaxation, such as soft tones of green, blue, and lavender. 4. The dining room gives families a place to sit and enjoy conversation, food and friends. Make sure the table is clear and uncluttered during showings. Use an attractive tablecloth to enhance the look of the table while also softening sharp corners. 5. Clean the house and the windows and clear out the clutter. This is essential to create a harmonious house Feng Shui energy. Does It Make Sense to Upgrade Your Home? Clients frequently ask me if it makes sense for them to buy a new home or to remodel their existing one. I usually ask the following questions to help them decide if they are ready for a larger home or one in a more desirable location. If they answer yes to most of the questions, it’s a sign that they may be ready for a change. 1-Are you making more money? If you’re making more money, you may be able to afford higher mortgage payments and the costs of moving or remodeling. 2-Do you have significant equity in your home? Usually, if you’ve owned your home for five or more years, you may have significant unrealized gains. 3- Have you explored the idea of remodeling or adding to your home? Sometimes you can extend and update your home by adding a new room or building up. But if your property isn’t large enough, the city doesn’t allow it, or if you are not interested in remodeling, then moving to a bigger home may be your best option. 4- Do you still like your neighborhood? If you have switched jobs, had children or experienced other changes in your life, your current neighborhood may no longer adequately meet your needs. 5- Is the current housing market conducive to a move? In today’s market you may sell quickly and for top dollar, but the home you buy also will be more expensive. If the market is slow, finding a buyer may take longer, but you’ll have more selection and better pricing as you seek your new home. 6-Are interest rates favorable? Interest rates are now at historic low. A low rate not only helps you buy a larger home, but also makes it easier to find a buyer. 1. Building equity. As you repay mortgage principal, you build equity in your home. Building equity is a ready-made savings plan. Money paid for rent is money that you will never get back. 2. Hedge against inflation. Appreciation of your property over time acts as a hedge against inflation. 3. Low interest rates. Mortgage rates currently are at historic lows, thereby dramatically reducing the cost of carrying your mortgage. 4. Pride of Ownership. Homeowners are able to remodel their homes to their own taste and build additional structures needed for their families or hobbies. 5. Stability. Home ownership gives you and your family a sense of stability and security. Staying in one neighborhood for several years gives you a chance to participate in community activities, lets you and your family establish lasting friendships. 6. Mortgage interest deductions. Under current tax law, homeownership offers a tax shelter. Homeowners can deduct the interest they pay on their mortgage, as well as some of the costs involved in buying their home. 7. Capital Gain Exclusion. Under current tax law, if you sell your home and have lived in the home for two of the five years preceding the sale, you do not have to pay capital gains tax on some or all of the profit on the sale - up to $250,000 for an individual or $500,000 for a married couple. What Is Your Game Strategy When Facing Multiple Offers? In today’s seller’s market, it’s fairly common to have more than one offer on a property. Inventory is down, demand is high and buyers are scrambling to make offers on the few listings we do have. Although the winner is usually the most qualified home buyer with the best price there are some other factors contributing to a winning bid. 4) asking your REALTOR® to prepare a comparative market analysis (CMA) of the property including private sales. Make sure your agent mentions to the seller all the due diligence that you have done. Sellers also gain confidence that a deal will close if an offer includes strong financial terms, including a significant deposit and large loan down payment. Other terms that will strengthen an offer include non-price concessions, flexibility on the closing date, and volunteering to pay on the seller’s behalf some fees normally charged to the seller. Remember to appeal to the home seller's emotional side, especially if they have lived in the house a long time. Although the highest price normally wins, sellers prefer a firm offer that assures them that the transaction will close and that nothing will come back to haunt them later on. A local agent with an intimate knowledge of the local market and good track record can help in writing the winning offer and closing the deal. When purchasing a home in our area it is customary for the buyer to receive a disclosure package to read and sign off on. The documents in the package are extensive, complex and sometimes confusing. Although they provide you with important information, do not expect them to be sufficient to finalize your decision about whether and on what terms to move forward with the transaction. 1. Read the disclosure package promptly and thoroughly. Read carefully all disclosures and reports included in the disclosure package, keeping the terms of your contract in mind. Do not skip boiler plate disclosures because these may contain some truly important information about the duties, rights and responsibilities of different parties involved in the transaction as well as local and regional disclosures that will guide you through the process of buying the house. 2. Sellers disclose only what they know. It is absolutely possible that a home will have some issues that are not yet symptomatic or that the sellers are otherwise not aware of. 3. Pay special attention to various inspections provided by professionals. Make a list of all necessary repairs. Pay special attention to the termite report and the condition of the main components of the house including the foundation, roof and fireplaces. Find out the age of all systems (heating, electrical, plumbing etc.) and if they are functioning properly. Look for red flags that may necessitate further inspections. Highlight any questions that you want to pursue further. 4. Conduct your own visual inspections. Visit the home on multiple occasions, at various times of day and different days of the week. 5. Conduct your own investigations. Visit City Hall and investigate past building permits and future plans or contemplated additions to the house. 6. Meet with your agent and discuss the findings in detail. Go over your questions and create a plan for obtaining any additional information you need from the sellers, inspectors or even your own investigations. about fencing code 841... my neighbors are selling their home. it won't sell until something is done about the fence (hazard- going through short sale HUD loan)--its leaning & in poor condition. we are willing but can't financially help pay especially on short notice. they asked to remove fence we were not willing to remove b/c we were worried how this decision affects us when new owners come in. they are removing enclosed section to their property & saying fence is now 100% ours. is that legal considering we are willing but just can't afford it plus they are selling---pretty much saving themselves but now a problem for us when new sellers come in. Didn't know about the capital gains tax situation, thanks for the information! It should come in handy with Wellesley real estate - there are a lot of people looking to buy and sell real estate who have income from capital gains.